Hello my name is Irene. I am from Italy and I am a student advisor at LTL Beijing. Please contact me using the details below. Blog Discover Beijing Where Does the Great Wall of China End? 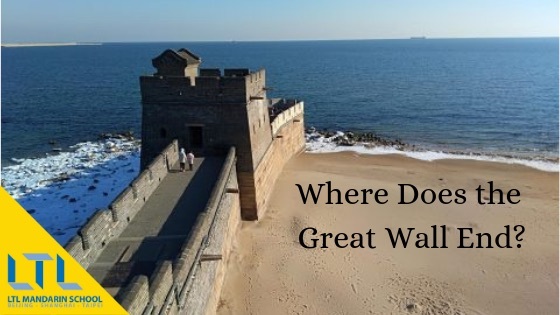 Where Does the Great Wall of China End? Laolongtou Great Wall – Where Does the Great Wall of China End? When you come to China, the Great Wall – built to protect China from raids and conquerors – is something you simply have to visit. There are many sections to visit and each is appealing for various reasons – Mutianyu, for example, is one of the most popular, the best restored and very close to Beijing (well, close in Chinese terms, at least). Some, like the Laolongtou are a bit farther out, but well worth a visit. Everything has a beginning and an end – even the Great Wall of China. But, have you ever wondered where the Great Wall of China ends? Well, it ends at the aforementioned Laolongtou! Laolongtou is where the Great Wall of China ends and meets the sea. 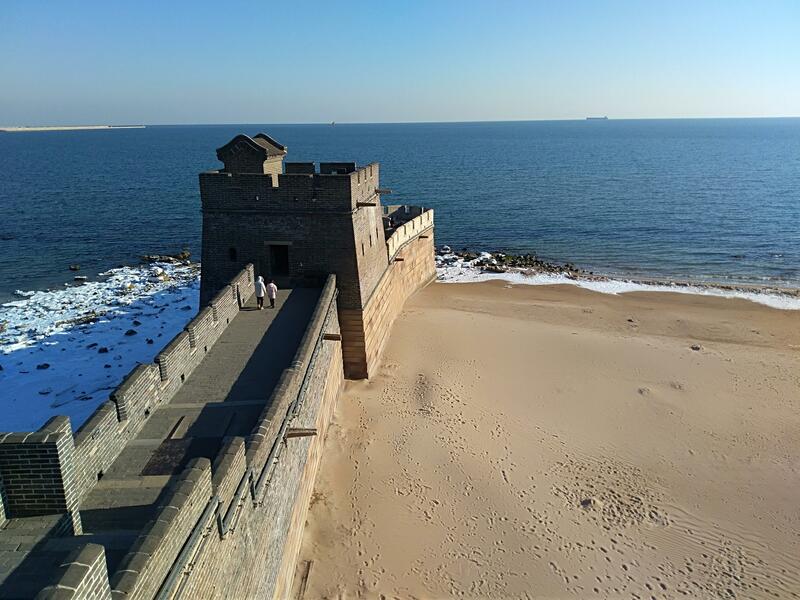 It is part of the Shanhai pass and its name “laolongtou” means Old Dragon’s Head, since some claim it looks like the head of a dragon drinking water from the sea. This section was built in 1381 under the supervision of Qi Jiguang, a Ming-dynasty general and was considered very important in the empire’s defence system, as it protected the empire from enemies coming from both land and the sea. DID YOU KNOW – Now it is a famous tourist destination, but not very crowded, which makes it even more appealing. So, if you have an extra day to spare, don’t miss this section! The Laolongtou section is easily reachable from Beijing, although it will take you a couple of hours to get there and back. 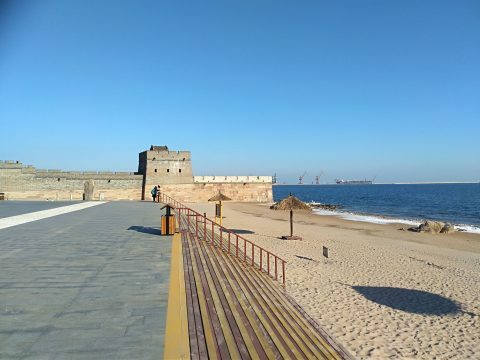 You will first have to get to either Shanhaiguan Town (5 km southeast from Laolongtou) or Qinhuangdao Town (19 km east from Laolongtou). I’d recommend taking the train, but be careful! Train tickets tend to sell out really fast, so make sure you get them in in advance! Train tickets prices range from CY 100 to CY 200, depending on which type of train you take (this is the price if you depart from Beijing, prices may vary if you depart from other cities). How to get to Laolongtou Great Wall? Once you get to Qinhuangdao Town, take bus no. 25 or a taxi, they are rather cheap. To get to Laolongtou from Shanhaiguan take bus no. 25 from Shanhaiguan South Gate Station or bus no. 21 from Ying’en Tower Station. Alternatively, you can take a taxi which are always in abundance. Wǒ yào mǎi yì zhāng piào. (我要买一张票) – I want to buy a ticket. Wǒ yǒu xiàn jīn. (我有现金) – I have cash. Duìbuqǐ, nǐ huì shuō yīngwén ma? (对不起，你会说英文吗?) – I’m sorry, do you speak English? Wǒ xiǎng qù zhèige dìfāng. (我想去这个地方) – I want to get to this place. 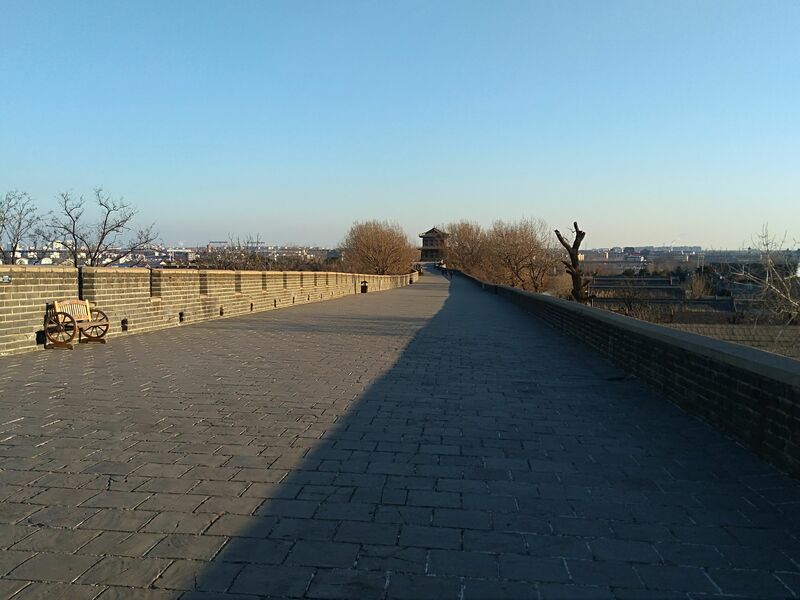 If you go to Shanhaiguan, you can also visit the “First Pass Under Heaven”. When should I go to Laolongtou Great Wall? The best time to visit this section is between May and October. Along the seaside, there is a long stretch of golden beach. It is a great place to escape Beijing during the scorching summer days of July and August. It is Hebei province, after all, so it won’t be too warm, but people go there to enjoy the sea. If you visit during the winter, prepare for snow, dress warmly and wear good walking shoes. This section of the wall is very beautiful and very well restored. Why not? It’s the Great Wall near the sea, not very touristy, yet very interesting. If you wish to hear more from LTL Mandarin School why not join our mailing list. We give plenty of handy information on learning Chinese, useful apps to learn the language and everything going on at our LTL schools! Sign up below and become part of our ever growing community! 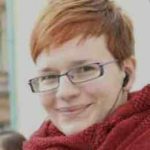 Matea is a freelance translator, journalist and blogger based in Beijing with a strong interest in Russia and China. Her spirit animal is a cup of Joe. When you study in China you can fully immerse yourself in Chinese culture, giving you a deeper understanding of the Chinese language. Discover all of LTL’s destinations for learning Chinese in China.